All Decatur homes currently listed for sale in Decatur as of 04/24/2019 are shown below. You can change the search criteria at any time by pressing the 'Change Search' button below. "This ranch is an entertainer s vision featuring a 3,000 sq. ft Lodge, 2,800 sq. ft entertaining pavilion, a large business center, and a nostalgic filling station and Soda Shoppe. There are 2 custom homes, a resort-like pool, an immaculate machine or mechanic shop and an additional well-appointed 3,000 sq. ft. shop. Diverse in topography, CG Bar Ranch features coastal fields, woods, a seasonal creek, 3 ponds, a 6-acre lake, and a garden center with raised beds and a green house. 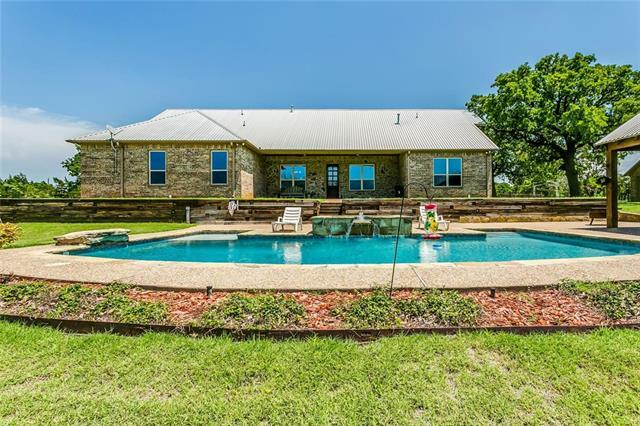 CG Bar Ranch o"
"Impressive Custom 5,574 sq ft stone-brick home sitting in the perfect location! 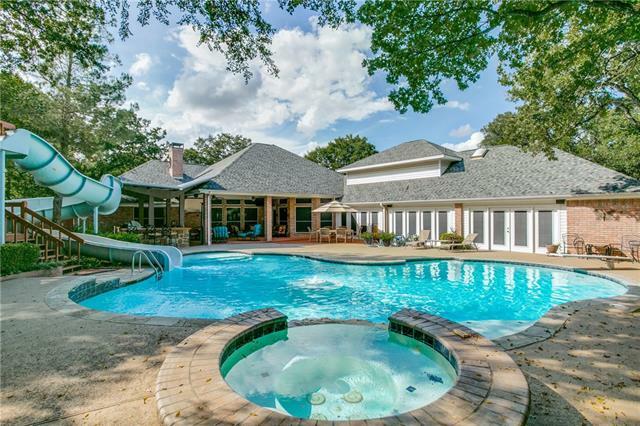 This unique 5 BR, 6 Full baths, 3 living areas, 2 kitchens, and 3 dining home features: a mother-in-law suite, media room, exercise room, and a game room with a balcony, which overlooks the custom heated pool-hot tub and a rock water feature. 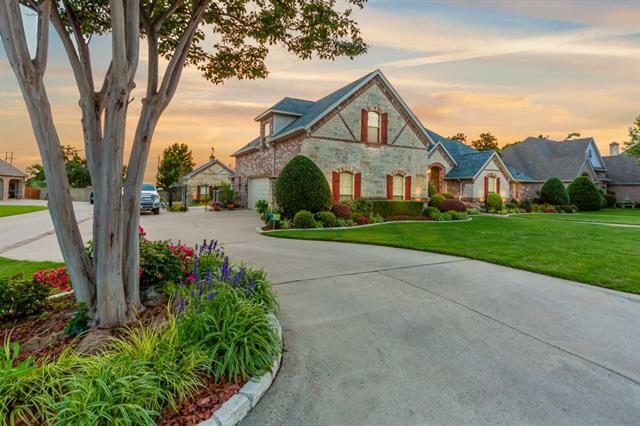 This beautiful home sits on 1.85 acres with many large trees and gorgeous landscaping. Great area for outdoor entertaining which is very private. This show stopper home includes"
"Hill Country Vibes! 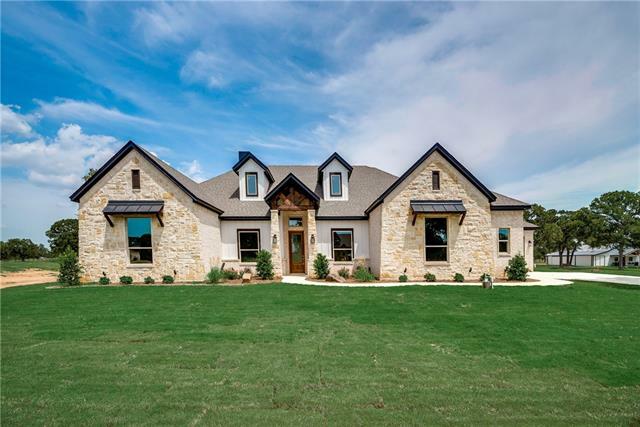 Drive through live oak trees on your scenic paved drive over bridge and creek to custom stone home tucked away on 83 + acres. Home built for family and entertaining. Custom gourmet kitchen with double ovens, refrigerator, and breakfast bar with island. Huge family room, large dining area, split bedrooms with covered porches on three sides. 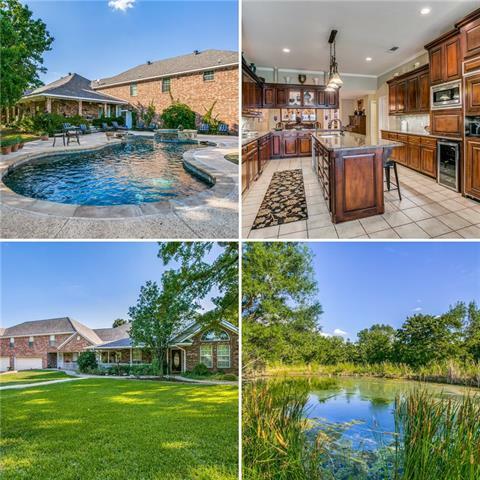 Outside you can enjoy the huge pool with waterfall and a large 4 acre pond as well as the 30x60 metal barn." "Prime farm land with 2650 Ranch Style Home with a wrap around porch and inground gunite swimming pool! 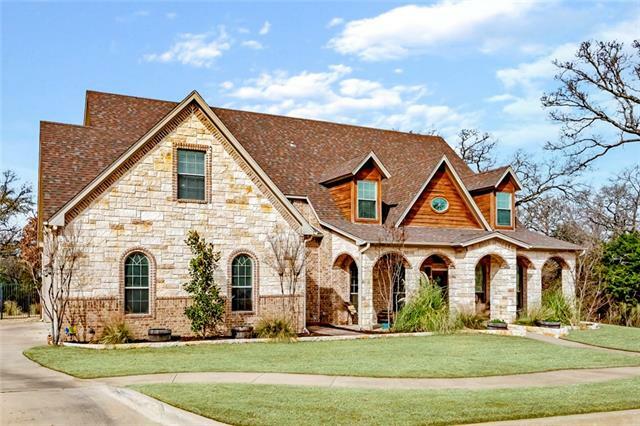 Custom open concept home with 2-level stone fireplace, crown molding. Island kitchen with lots of counter space. Great views from wrap around porch and private pond! 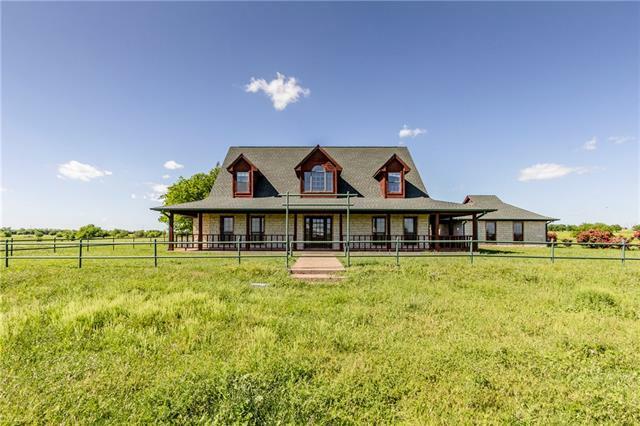 Bring your cattle operation as this home accommodates with a 4800 sq ft cattle barn, arena, 1200 sq ft workshop and tons of storage!" "A Timeless Beauty. 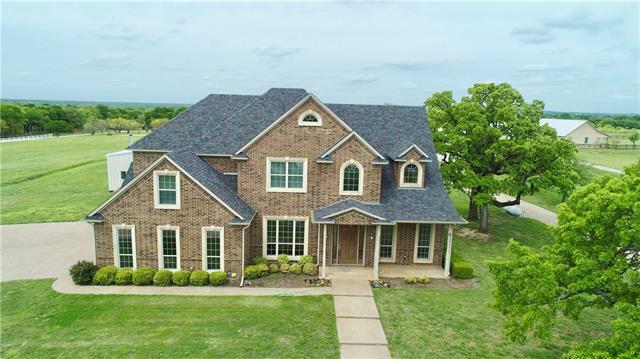 Located outside the city limits on Preskitt Rd, 4 beds, 4.1 baths, bonus room can be 5th bedroom, 2 car over-sized garage, home on 7 acres, with everything you need. Home offers plenty of room, high ceilings, gas starter WBFP, large bedrooms with walk in closets and personal bathrooms, fresh paint through out. Kitchen with granite counter tops, pantry and commercial grade range and vent a hood. Outside has a large saltwater diving pool with spa, and outdoor covered living area"
"ATTENTION TO DETAIL! This stunning estate was built sparing no expense. The 4800+sf sprawling main residence boasts of two separate living areas, 4 large bedrooms and 4.5 baths + 2 dining areas with a great open concept floor plan. Gorgeous kitchen with built-in refrigerator, double-ovens, cooktop, wine refrigerator and walk-in pantry. Utility room has an oven for extra holiday baking. The beautiful resort style backyard is an oasis and the perfect entertaining spot complete with pool, water sli"
"Jesse James camped along Sweetwater Creek that flows through this beautiful estate year round. Serene and unrestricted this is a chance own a piece of American history that is virtually unchanged. Spacious 4 bdrm, 4 bthrm, home updated and maintained to perfection. 2 large barn-shops with running water and electric. Spend your mornings, afternoons or evenings on the beautiful wrap around front porch. This home is great for entertaining family and friends or enjoying the scenery and wildlife. Whe"
"Custom 2660 sq ft 3 bedroom, 2.5 bath stone home w concrete construction to withstand up to 200 mph wind & ultra energy efficiency. Split, open floor plan w vaulted living room, granite kitchen w SS appliances & lg island. Gas cooktop, rustic details & trim throughout. Roomy master suite w claw foot tub, separate shower, large walk in closet w safe room to withstand up to F5 tornado or intruders. Two guest rooms are oversized w Jack and Jill bath, ea w own dressing area. In ground pool w water f"
"If you are looking for a truly unique, custom home in the peace and quiet of the country, this is the home for you. The style and finishes of this home would easily be seen in Ski Country. Each room is finished with hand crafted wood paneling including Red Oak, Cherry, Walnut, Beech, and Red Gum. 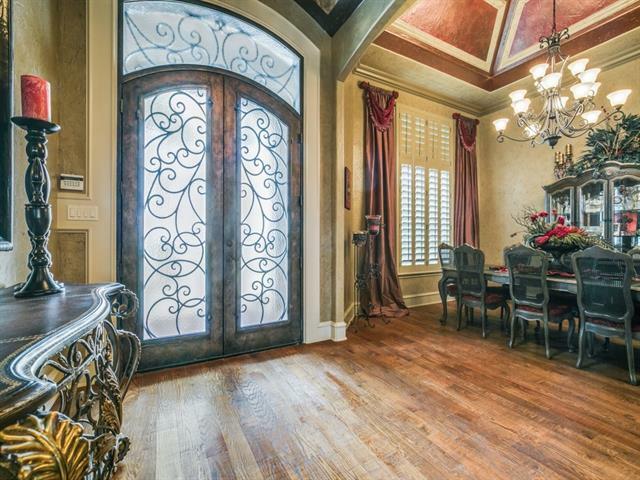 All interior doors are hand crafted and fitted with antique brass hardware as well as hardwood flooring and Pella windows installed throughout. 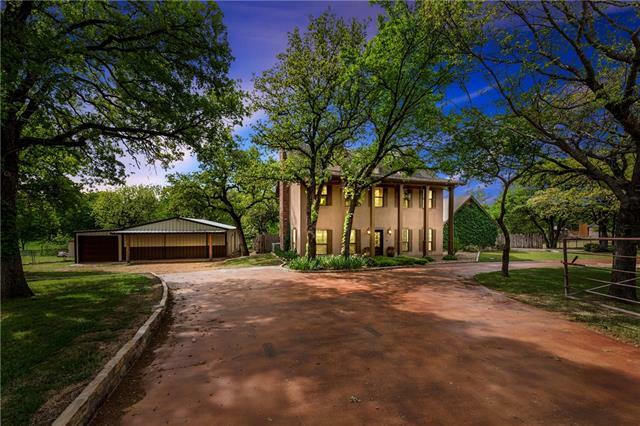 It's hard not to notice the stunning double sided, wood bu"
"The property boasts 3.75 ac. that's fenced & cross-fenced, shaded by oak trees. The stocked pond is continually filled by it s own well, serving as the irrigation system for the sprinkler system. Horses are secure with the 5 ft no climb-slick wire fence surrounding the pasture, which includes several storage buildings & loafing shed. A huge children s fort is also fenced for safety. The 5241 sf home features 1 BR 1 bath upstairs living quarters with a full kitchen . Downstairs are 2 master s"
"Multiple house plans are available for each lot! Select from several available plans or have a custom design done for any available lot. Call the listing agent to learn more. The Estates of Bison Creek are full of unique and beautiful lots with equally amazing customized homes. 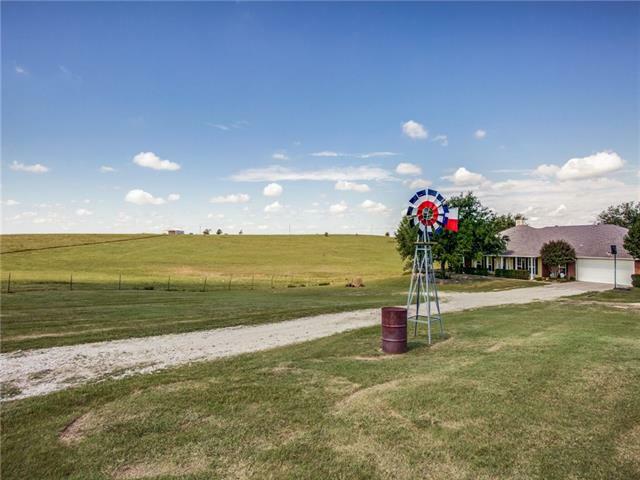 Enjoy country living with the convenience of location. The Estates of Bison Creek boasts creek views, and large trees at an ideal location. Small town living with big city amenities, just a short drive away. If you have q"
"Beautiful home on over 4 acres located in the secluded, heavily treed, community of Holly Ridge. Grand living room with a lovely brick fireplace. Formal dining, eat in kitchen with bay window, breakfast bar and island, and granite counter tops. Luxury master suite with access to your backyard oasis which includes an immaculate pool, & large open patio perfect for entertaining guests. 3 bedrooms, game room, and 2 bathrooms are on the second floor. Boat or RV storage, 4 total garages, + stora"
"MUST SEE! 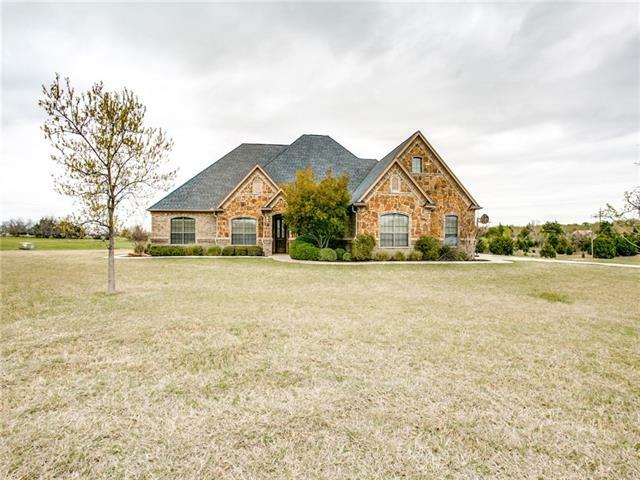 One of a kind custom-built home located in excellent neighborhood of Hidden Oaks in Decatur, Texas. 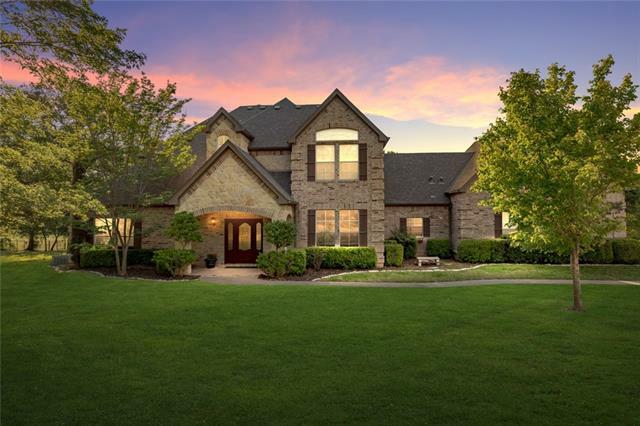 This French country style stone and brick home has 4 bedrooms and 3 baths. This property is situated on a beautifully landscaped 0.452 acre lot with a beautiful pool, outdoor kitchen, wood burning fireplace and pool and guest house. It has too many features and extras making up the overall footprint to list here. See photos. For further details of the overall property please see the Des"
"Breathtaking Views and Beautiful Sunsets! 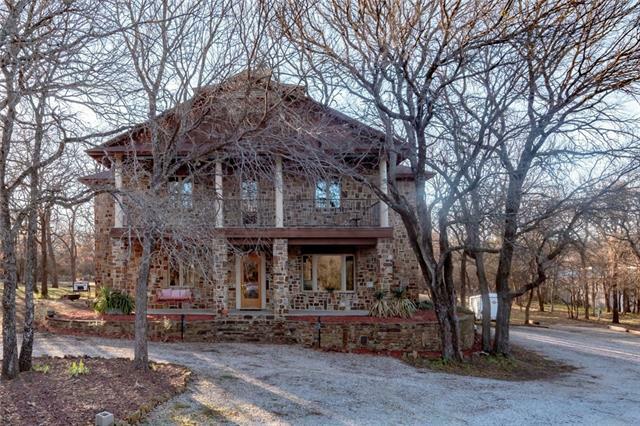 This is a custom home on 38 rolling acres of fenced-in pastures and hills. This home features 3 bedrooms with a flexible formal dining room, a home office, open living room with a free-standing wood burning fireplace, and a spacious kitchen. The layout also offers a split bedroom plan with oversized bathrooms, and a large shelved pantry, or utility area, with space for a chest freezer. 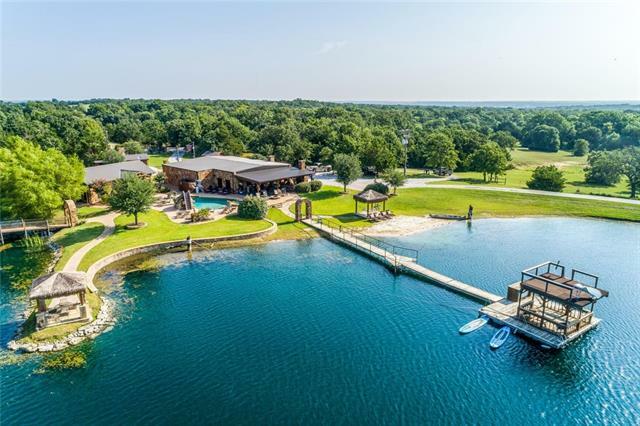 Watch the beautiful sunsets and wildlife as you relax on the back por"
"STUNNING HOME! 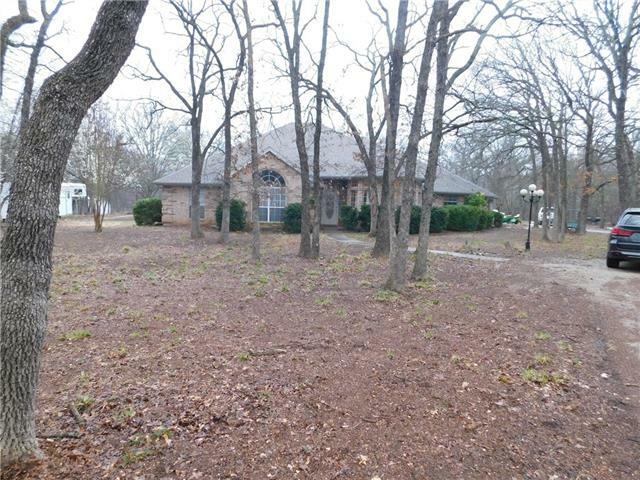 4 beds & 3 baths sitting atop 3 acres. Open floor plan, custom cabinetry and crown molding throughout with 2 dining areas, home theatre & feature fireplace with heating blower. Master bed & bath with French doors leading to back patio. Kitchen has tons of storage & counter space. Laundry room is spacious and cozy with custom built-ins galore! Walk upstairs to 2 more bedrooms, a loft, 2nd living space, and a walkout balcony overlooking a refreshing heated salt-water pool with gorge"
"GREAT LOT! Watch the sunrise every morning and the deer grazing in the evening! 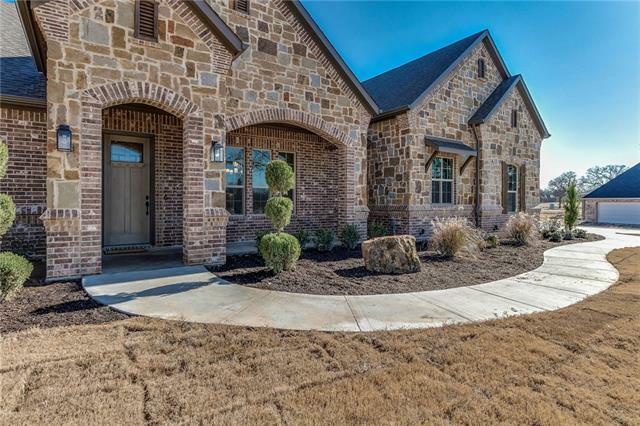 This new home from Legacy Classic has it all, 2.2 acre, split bedrooms, guest bed with adjoining bath, large island kitchen with quartz counters, huge pantry, clear Alder 42 in custom cabinets, open living area with hand scraped hardwood, gorgeous stone wbfp, beautiful master bath with dual vanities and dual head shower, large upstairs game room over the garage, wifi enabled thermostats, pre-wired for security and su"
"Situated on a large private lot that offers spacious living w a practical flow, this stunning home is ideal for year round entertaining! From the covered front porch & beyond the study & dining room, the kitchen w granite counters, island & breakfast bar is ideal for gatherings. The walk-in pantry & butler s pantry lend ample storage while the coffee bar & under cabinet lighting combine style w functionality. Hand-scraped wood floors flow throughout the downstairs to a show stopping two-story "
"Lovely 3077sf 4 bedroom 3.5 bath home on heavly wooded lot in Indian Trails subdivision. 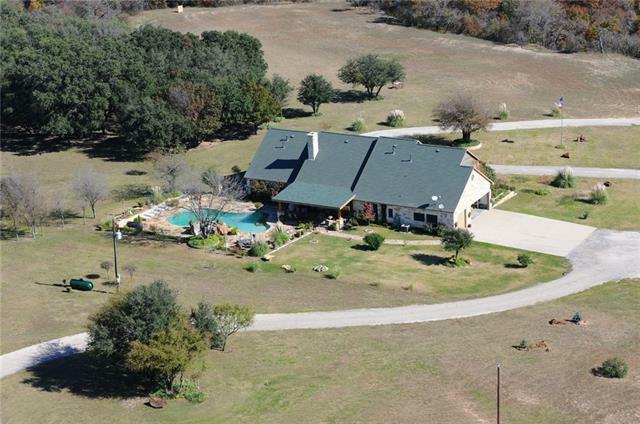 Sitting on 2.7+acres the property has a two stall horse barn and fenced pens for horses. Another barn for storage or farm equipment. A spacious two living areas with a see though wood burning fireplace that overlooks a sunroom off the back. Large utility room with a sink and storage area. Seller is very motivated and will try to work with someone who wants a lovely place in Indian Trails of Decatur, This"
"IF YOU LIKE TO ENTERTAIN, THIS IS YOUR HOME! Soaring 12' ceilings, a wall of windows and 8'x16' glass doors leading to the covered patio make the living area bright and expansive. Patio door to the game room and mud room off garage are great for the kids. 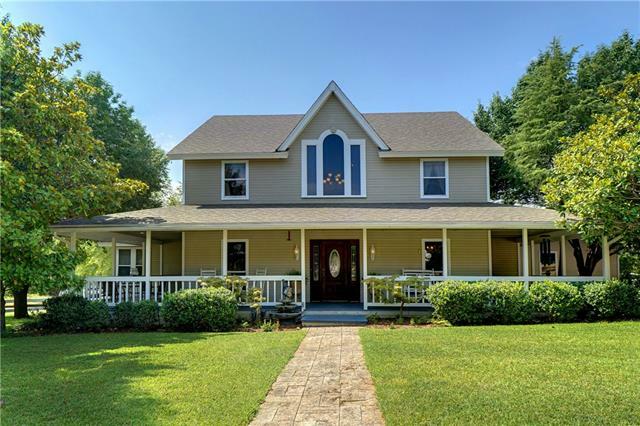 2 acres*split bedrooms*guest bed with adjacent bath*large island kitchen with quartz*huge pantry*42 in custom cabinets*gorgeous stone wbfp*luxury master bath with dual vanities and dual head shower*wifi thermostats*oversized 3 car garage*mature"
"Gorgeous 2 story traditional home with pool in Decatur ISD! Thoughtful design inside for family living and easy entertaining outdoors with custom pool, spa, fire pit and private covered patio. Spacious kitchen with center island, large dining area open to living. Home has 4 bedrooms downstairs with 2 full bathrooms and a half bath for guests. Upstairs space could be bedroom, media room or game room! Private study off foyer, large utility filled with cabinetry, oversized garage, pond and sto"
"This well-maintained home sits on a very beautiful wooded 2-acre lot on a street with no traffic just outside Decatur city limits. MBR and 1 other BR downstairs. 2 BRs and bath upstairs, game room and half bath upstairs over garage. 34'x34' metal shop with concrete floor and power. Open floor plan, covered wrap-around front porch, sprinkler system, 3 HVAC units, 2 water heaters. Large kitchen wonderful for entertaining. Large utility room with sink, lots of built-in cabinets and room for freezer"